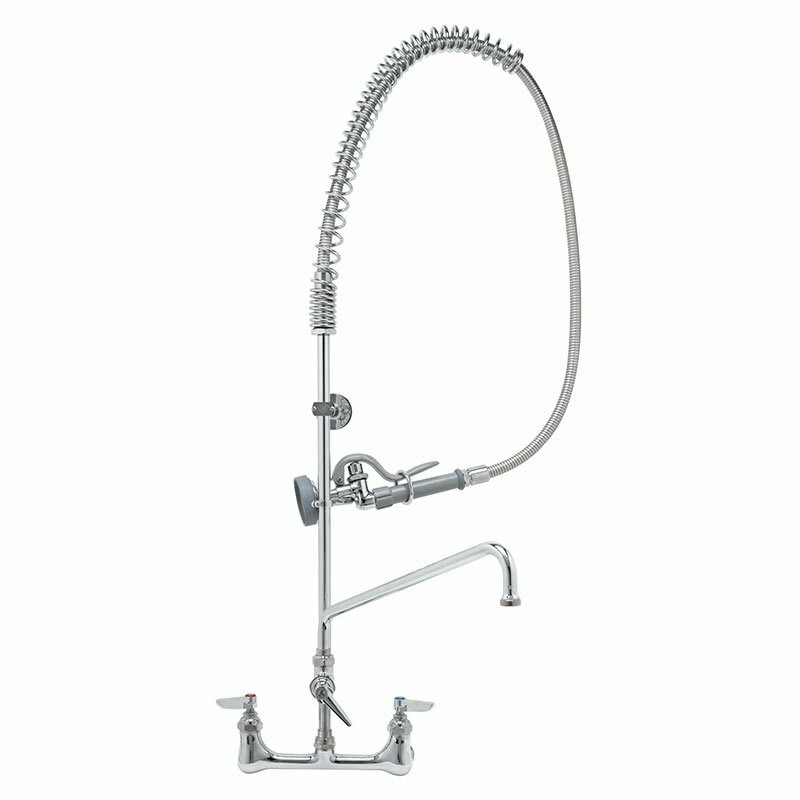 The T&S Brass B-0133-01 pre-rinse unit has an 8-inch wall-mounted, mixing, polished chrome-plated brass faucet. An add-on faucet comes with a compression cartridge and lever handle. To control how the water comes out, there is a 14-inch swing nozzle that is equipped with a stream regulator outlet. 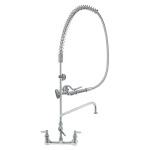 To make installing the pre-rinse unit easier, there is an 18-inch riser. Pre-rinsing large kitchenware is simple with the 56-inch, flexible, stainless steel hose that comes with a heat resistant handle. The hose retains its shape with the overhead support spring, even when you pull it down to rinse the hard-to-reach spots. When you are done with the spray valve on the hose, a finger hook holds it for storage. Water flows through the fixture at 1.42 GPM, so hot water reaches its full temperatures quickly. The compression cartridges have spring checks to prevent water from crossing flows. The T&S Brass B-0133-01 pre-rinse unit is designed for heavy-duty use in a commercial kitchen..
Centers are adjustable from 73⁄4-81⁄4-in.